Isn't that what Bernie Sanders foolishly called them. The Clinton email scandal erupted back in 2015 when it became publicly known that Hillary Clinton had used her private email server for official communications during her tenure as Secretary of State. It turned out later that Hillary Clinton deleted about 33,000 emails by the time she handed over work-related correspondence from her private server to the US State Department in 2014. Predictably, it added more fuel to the fire and prompted the question why she decided to delete them. There is a lot that the deleted emails could have told us, Jan R. Weinberg, founder of Show Up! America, believes. They note that we still haven't seen all the e-mails (and that more were quietly dumped this month). And someone who can't be honest. So she lied about the e-mails from day one. And then got testy if her contradictions were pointed out. And her cult acted like it was all okay. She always creates her own mess. And never goes away. She's the house guest who won't take a hint. RadarOnline.com has exclusively learned that the disgraced politico secretly took cash from a New York-based weapon manufacturer – one who coincidentally secured a shady $418 million deal on the last day of the Obama Administration! A world exclusive Radar investigation uncovered troubling links between Clinton and L3 Technologies, an arms manufacturer that recently won a megabucks deal to provide 14 warplanes to Kenya. Other high-ranking Democrats such as John Kerry, the late Ted Kennedy and his son Patrick were also implicated in the probe. Friday, February 24, 2017. Chaos and violence continue, The Mosul Slog continues, efforts to resell the war never end, US taxpayers spend $12.5 million a day dropping bombs on Iraq at the Iraqi government's request but Iraq takes its F-16 to Syria to drop bombs, and much more. 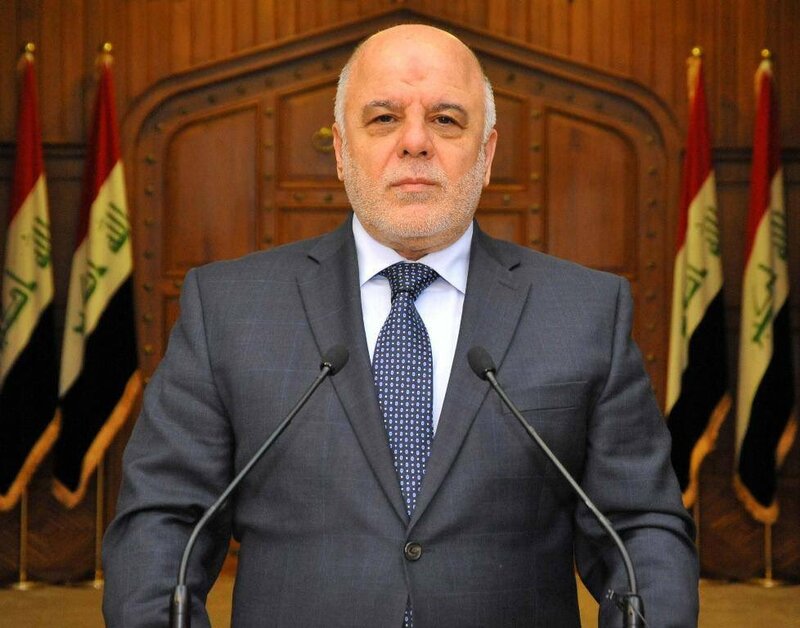 IMPORTANT #Iraq PM @HaiderAlAbadi ordered Iraqi Air Force to target #ISIS positions inside #Syria & the first airstrike is successful. 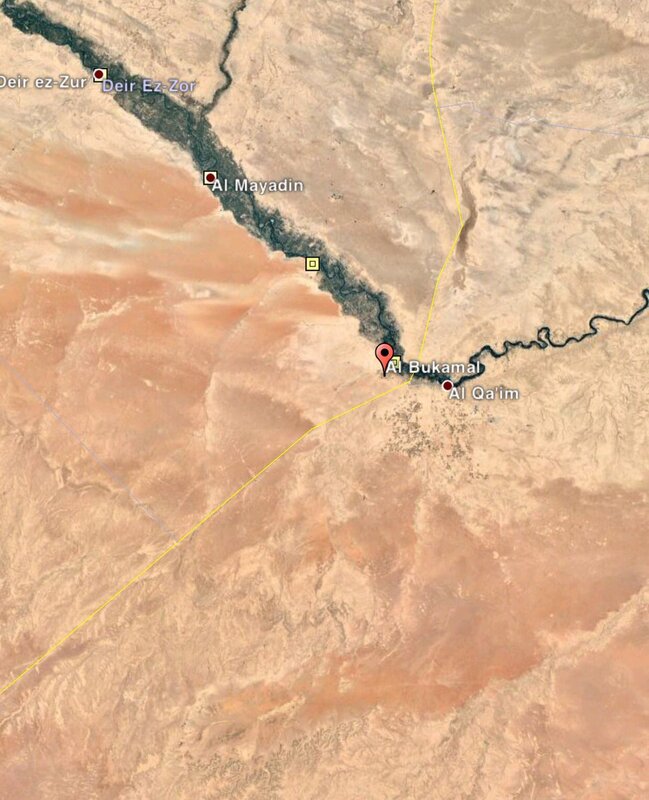 #BREAKING #Iraq Joint Operations announced that F-16 targeted #ISIS in Albu Kamal inside #Syria territory & completely destroyed it HQ. #BREAKING #Iraq Joint Operations released a video of the airstrike that targeted #ISIS in #Syria which was ordered by PM @HaiderAlAbadi. 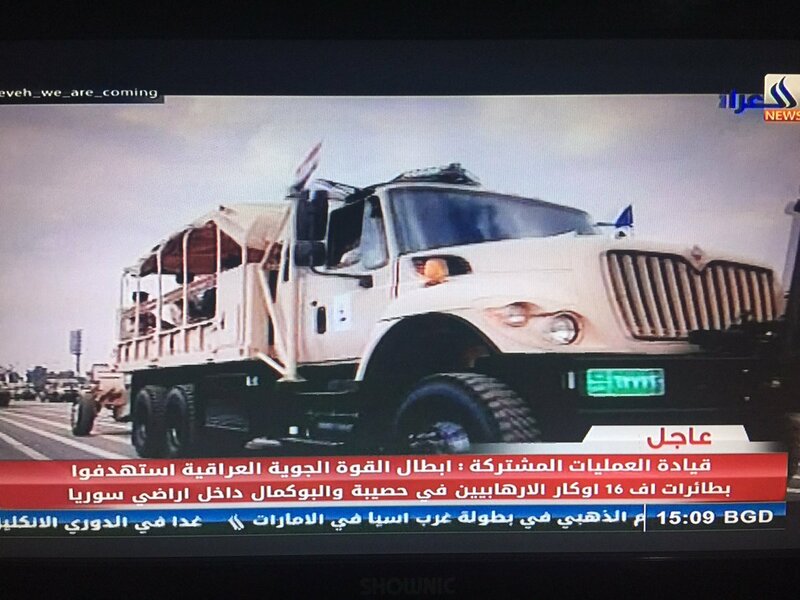 So Iraq's using one of the F-16s the US government wrongly (illegally) supplied to bomb Syria. And how many billions have the US taxpayers footed for the bombing of Iraq from US war planes since August 2014? If the Iraqi government has F-16s (and they wrongly and illegally do), why don't they do their own bombings? The US taxpayer is on the hook for "$12.5 million a day on air operations against the Islamic State and has spent billions more training and equipping Iraqi security forces," according to Loveday Morris (WASHINGTON POST). Tubby Hayder al-Abadi issued a statement moments ago. The usual nonsense we'd expect. The Iraqi forces are on the human side, for example. Except of course when they're threatening or harming civilians. He leaves that part out. He does not that they bombed Syria and that they will continue to do so. And he mentions the people of Mosul (seventh point). The 750,000 civilians that may still be in Mosul? Does he note the harm they have faced? He just calls on them to support the Iraqi forces. Hayder forgot the people of Mousl? Well that's what he's always done, right? Mosul was seized by the Islamic State in June of 2014. By August of that year, Hayder was transitioning into the role of prime minister. But he would wait until mid-October of 2016 -- over two years later -- to attempt to liberate or 'liberate' Mosul. 130 days later, The Mosul Slog continues. An estimated 750,000 civilians remain in the west side of the city and the offensive by Iraqi forces will prove deadly for many. Other urban centers recaptured from ISIS over the past two years, including Ramadi, were virtually destroyed in the process. 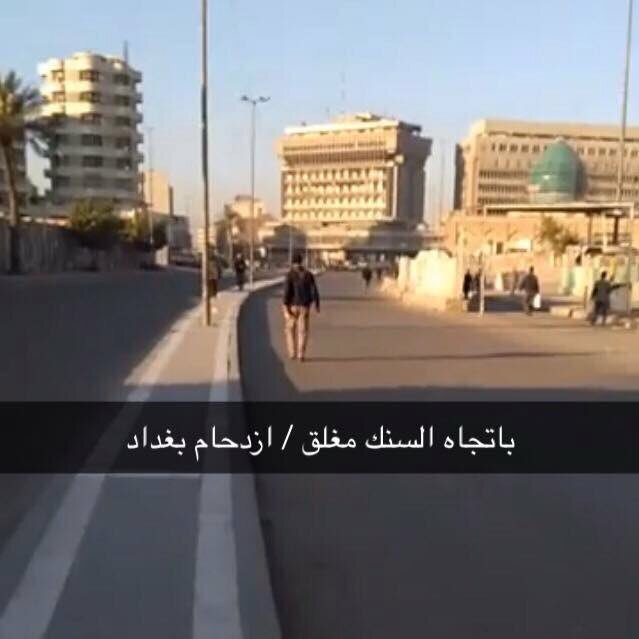 The streets in the ISIS-held part of the city are narrower and virtually all routes for escape have been closed off. Bridges linking the east and west sides of Mosul across the Tigris River were destroyed by air strikes, and Shiite and Kurdish militias have surrounded the city to the north and west. According to the United Nations, more than half of all casualties thus far in the battle for Mosul have been civilians. At least 1,096 civilians have died and a further 694 have been injured since the government’s offensive was launched last October. It added that spaces at refugee camps could provide shelter to only 60,000 civilians. The supposed reason for the operation. Completely forgotten by the corporate press. Well maybe that's not fair. Qassim Abdul-Zahra, Sinan Salaheddin and Susannah George (AP) remember the civilians . . .
12 paragraphs have to take place before the supposed reason for the operation can even be mentioned. AP clearly has other priorities. Day 130 and CNN's Ben Wedeman sells war with lies -- the operation isn't 48 hours old. Sorry, Ben, your lies are as offensive as your looks. As he lies to reset the clock, he also leaves out the reason for the alleged 'success' of the last few days: US troops, Australian troops and Canadian troops. It's not the Iraqi forces. Yes, the operation is moving quicker in the last days. That's not because of the Iraqi forces. It's because 'trainers' and 'advisers' are now officially in combat. In the fight against the Islamic State group in Mosul, the United States has adjusted its rules of engagement as American and other international troops are now closer to front-line fighting than before. During the push to take Mosul International Airport on Thursday, American and European advisers were embedded with forward Iraqi rapid response and special forces units. If it were left to the Iraqi forces, The Mosul Slog might last a full year. Let's note a stupid Tweet. The Iraqi forces fighting the Islamic State -- some of these forces are committing War Crimes -- aren't trying to come to the US. More to the point, they don't like the US. Even excluding the Shi'ite militias loyal to the government in Tehran, they don't care for the US. Not a crime, they don't have to. But let's grasp as more billions are poured into Iraq that the US State Dept said they'd oversee training of Iraqi forces. Did we all forget that? In October 2011, the US mission was transferred to the State Dept in anticipation of the military drawdown at the end of that year. And the State Dept was given millions of taxpayer dollars for this. And millions were spent on a Baghdad training facility. Before the drawdown even took place, the Iraqi government had declared they didn't want US training. Did the whole world forget that? Then in 2014, it's train me, train me, train me. Even the Hillary Clinton supporters should agree with this because Hillary held onto that money at State for months hoping the Iraqi government would change its mind. They did not while she was Secretary of State. The Iraqi military that the stupid Tweet (and its stupid owner) support is the same one that 'followed orders' after the bulk of US troops left Iraq in December and patrolled and circled (with tanks) the homes of Sunni politicians. They're the same military that invaded the home of a Sunni member of Parliament at dawn and killed people in the raid -- including the MP's brother. They're the same ones who 'followed orders' and 'disappeared' thousands of Sunni civilians. Herr Trump can hump the legs of the Iraqi military but there's no reason for any sane person to be impressed by them. 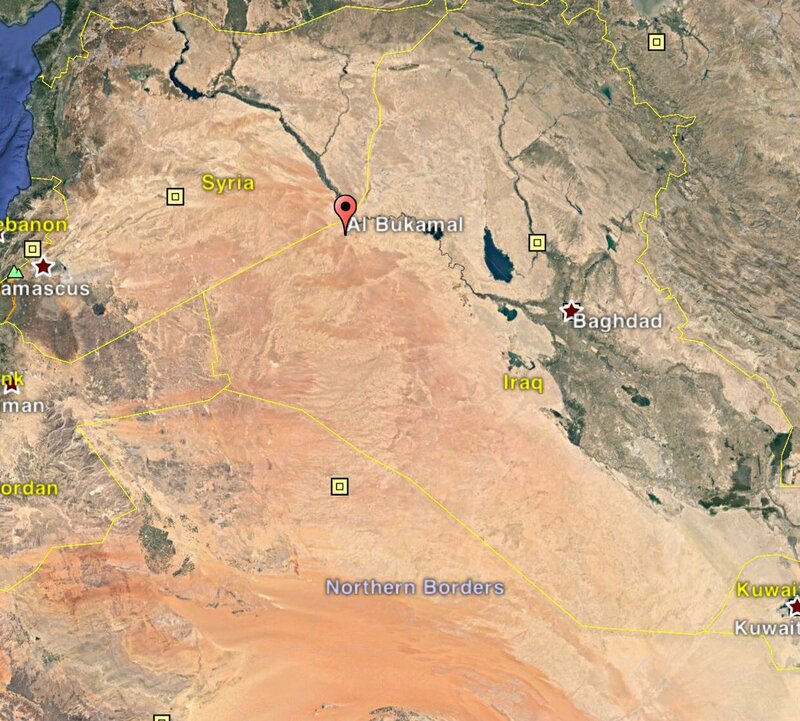 They attacked Sahwa, they attacked the Peshmerga. 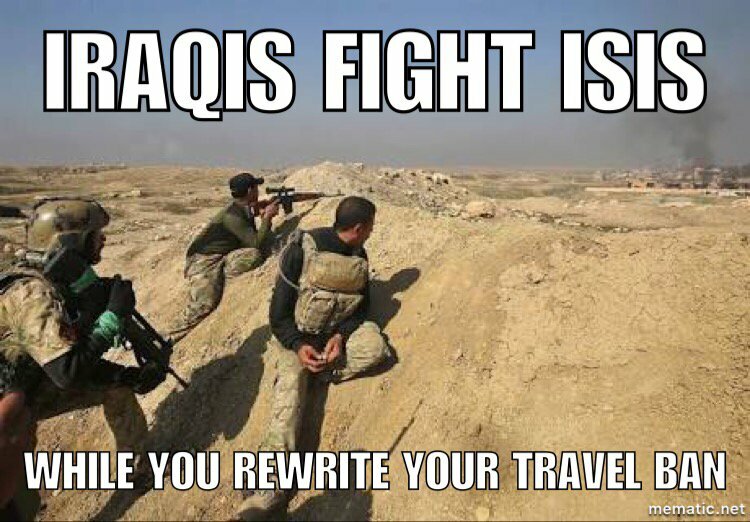 And if and when the Islamic State is gone (or at least a minor threat), they'll go back to attacking other Iraqi military. For now, they keep their teeth sharp by attacking Iraqi civilians in 'liberated' areas. Yes, they get good press. When whores like Ben Wedeman are embedded with them, something happens. Sexual lust? As well as the whole Patty Hearst hostage experience. They're not journalists when they're embedded. Ben Wedeman needs to free his inner Tania. And the western press needs to stop serving sop to whatever consumers they have left. In an open letter to Prime Minister Haider al-Abadi, a Facebook page called Mosul Eye, which has chronicled life in the city under the Islamic State, warned that abuses by some parts of the security forces were creating humiliation for the local population, while "huge corruption" meant that Islamic State members were going free. And protesters gear up in Baghdad.